Are you considering orthodontia to straighten your teeth? At Decatur Smiles in Decatur AL, we have clear braces that deliver the results you want, without having a mouth full of metal. Clear braces may sound like they’re too good to be true, but rest assured, they are a reality. 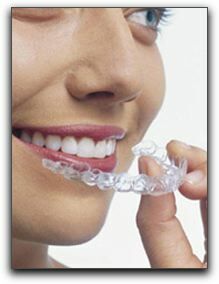 Technically they are not even called braces; they are known as aligners. Clear braces look a lot like an athlete’s mouth guard, and you wear them that way, too. The treatment is in the form of a series of trays that, over time, gradually bring your teeth into proper alignment. People absolutely love them, and for several reasons. First, they work. That’s the most important thing. Because they are clear, they are subtle: so much so, that people standing just a few feet from you may not realize you’re wearing them. Maybe best of all, people love them because they are removeable. Dinner time? No problem. Slip them out while you eat, then put them back in. Same thing when it’s time to brush and floss before bed. Clear braces are great for adults and teenagers alike. Call us at Decatur Smiles in Decatur AL to learn more. We also have a full range of general dentistry services. Call for an appointment today!